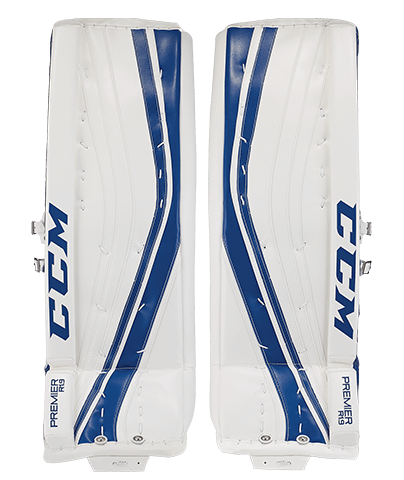 CCM Premier 1.9 Senior Leg Pads | Sports Etc. Designed to maximize coverage and play big, the new exceptionally thin profile is lighter than its predecessor and provides a deep channel fit. To maximize performance and optimize leg rotation while in butterfly and reverse VH, CCM redesigned the pro leg strap set-up and made the padding in the leg channel lighter.